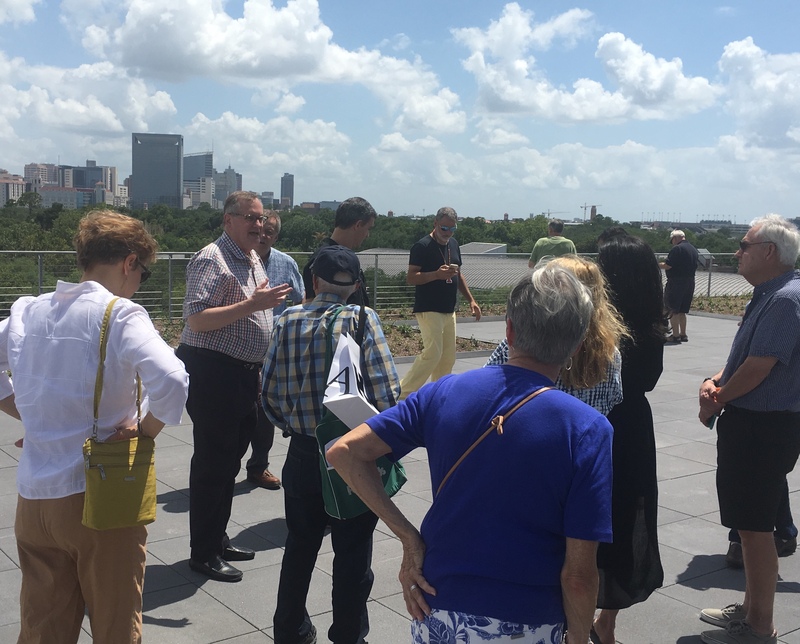 Houston Illini, Larry Burns, UIUC Class of '74 & '76, who was Architect of Record of Kendall/Heaton Associates on the Building, led a tour of the new building, the Brown Foundation Plaza, and the BBVA Compass roof garden. 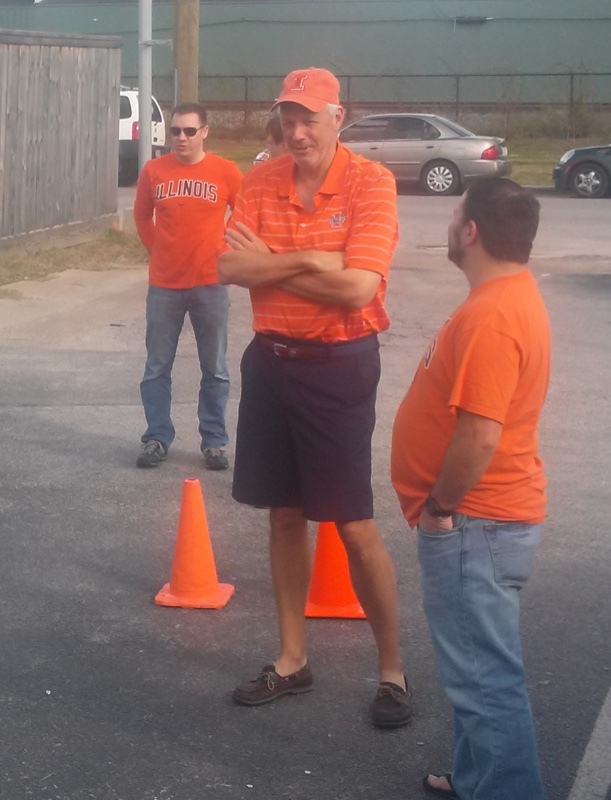 Chancellor Jones spoke to the Houston Illini Club at the 8th Wonder Brewery! 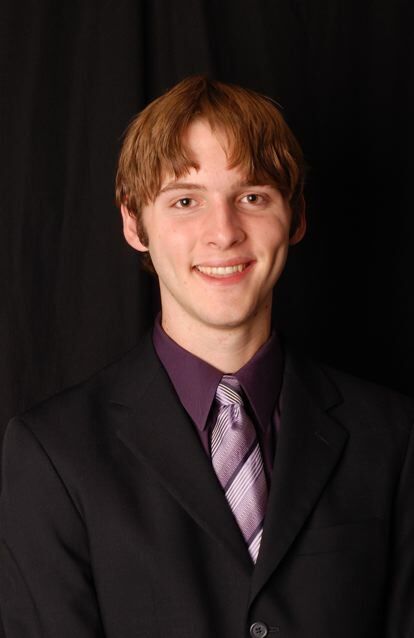 UIUC Alumnus David Catalano performed as baritone lead for Rossini’s opera “An Italian Girl in Algiers” with the University of Houston’s Moore School of Music, where he is working on his Masters in Voice. 2018-01-11 Meet & Greet event! 2018-01-06 Michigan vs. Illinois Basketball game watch! 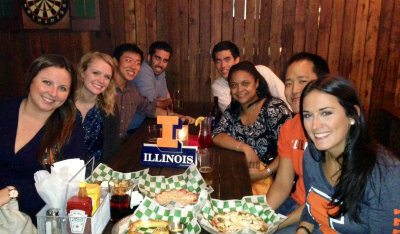 Illinois vs. Michigan basketball game watch event at Jake's! 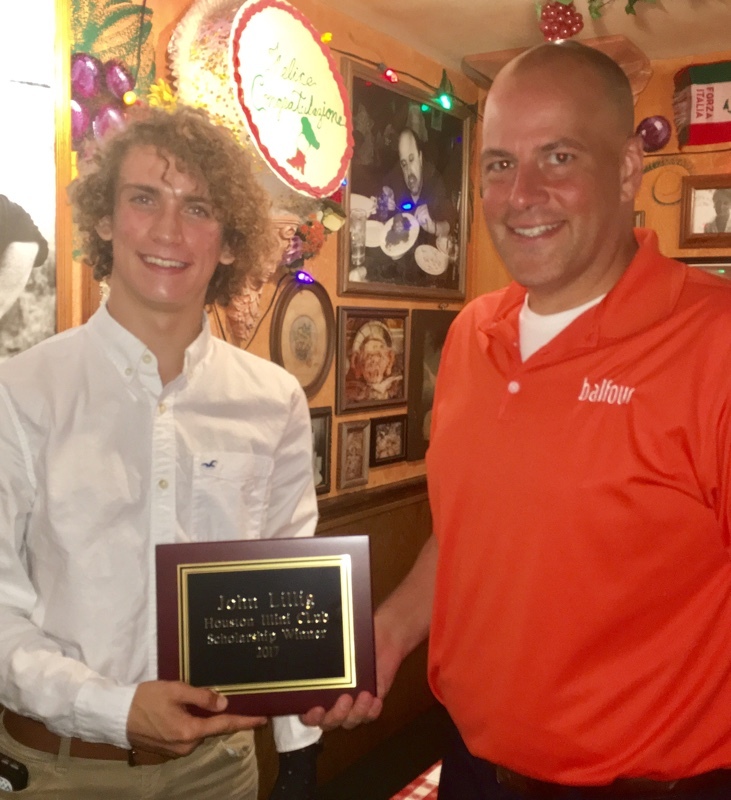 2017-07 Houston Illini Scholarship Awarded! 2016-12 Houston Illini Club's Scholarship Winners at UIUC! 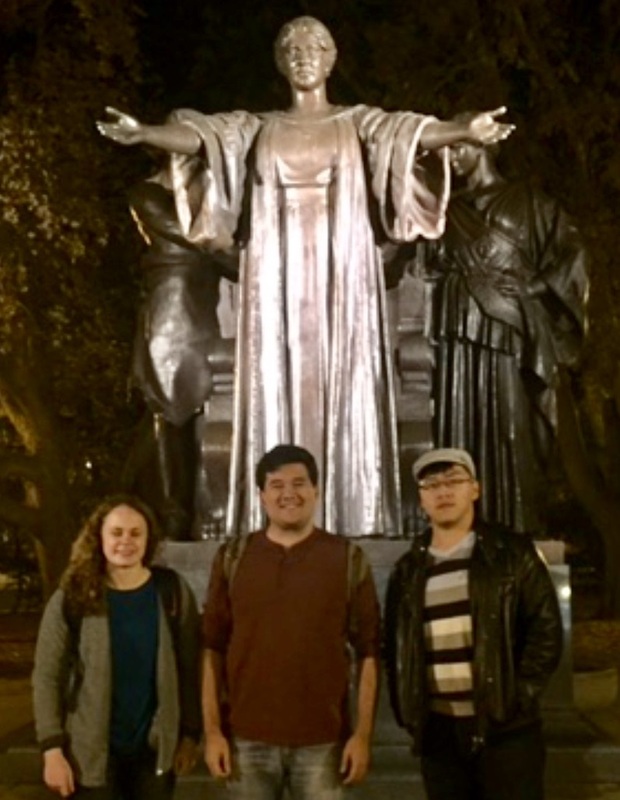 Kathryn Kosinski, David Catalano and Xinyi (Gary) Zhang in front of the beloved Alma Mater statue at UIUC in December, 2016. 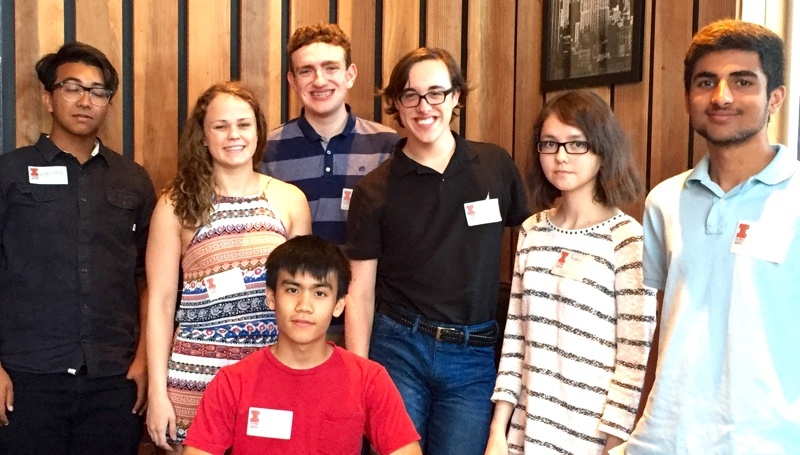 The club congratulated seven Houston-area rising Freshmen to UIUC in the fall of 2016! Thanks to Anna & Joel Catalano for hosting! Mark Ulrich, Mike Davis and Alex & Carmen Cosmala were also in attendance. 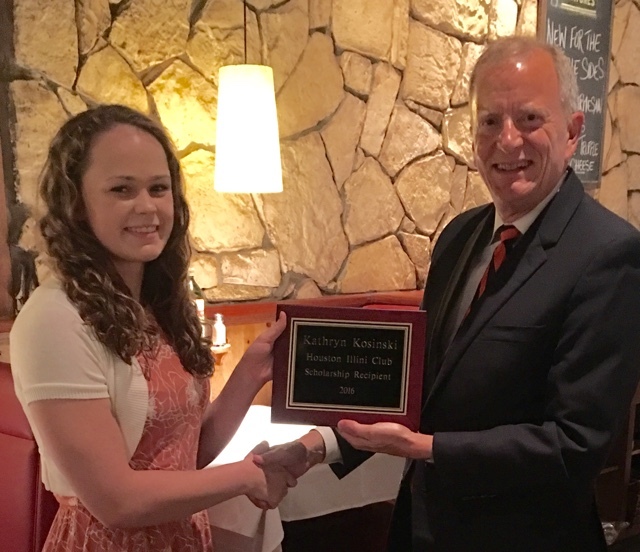 On June 20, 2016 several members from the Houston Illini Club's scholarship committee and their spouses congratulated the club's 2016 award winner, Kathryn Kosinski. 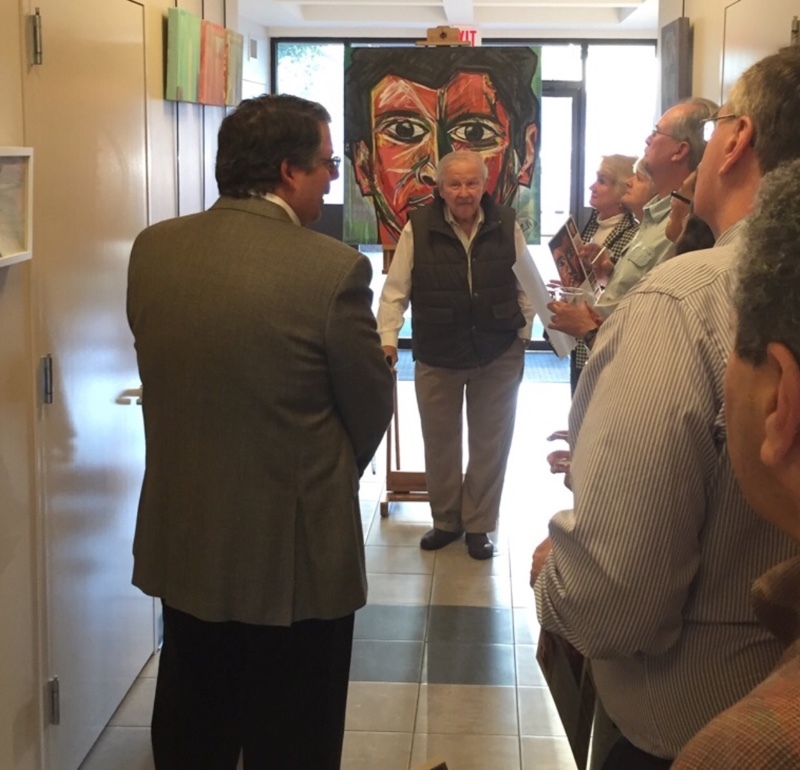 Spanish Artist Carmen CPAM Kosmala (formerly Carmen Agudo) shared an evening of Spanish Art and French wine. 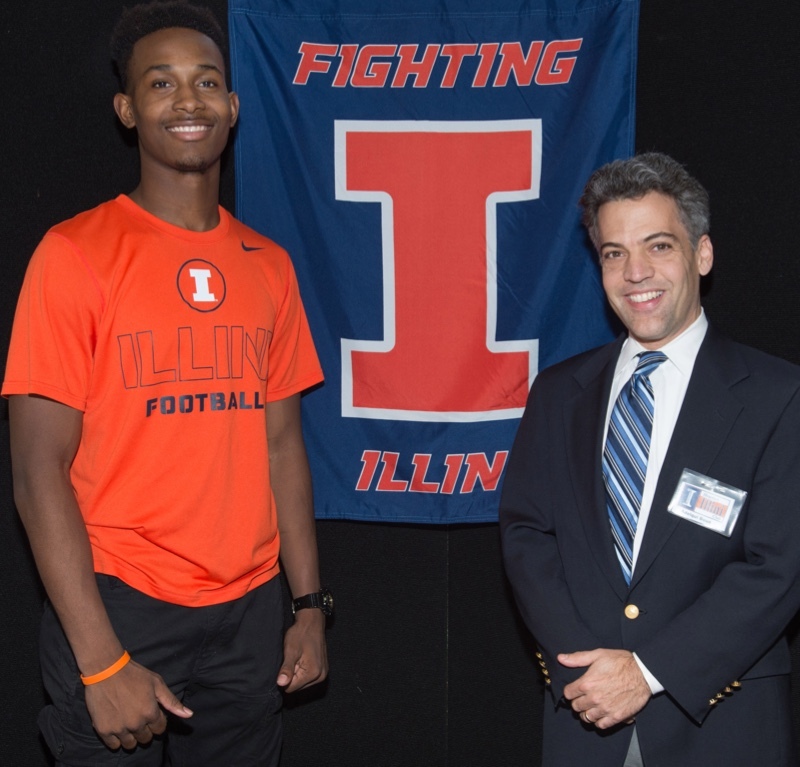 Click below for the March, 2016 photos taken in Champaign-Urbana at the Houston Illini scholarship recipient dinner. 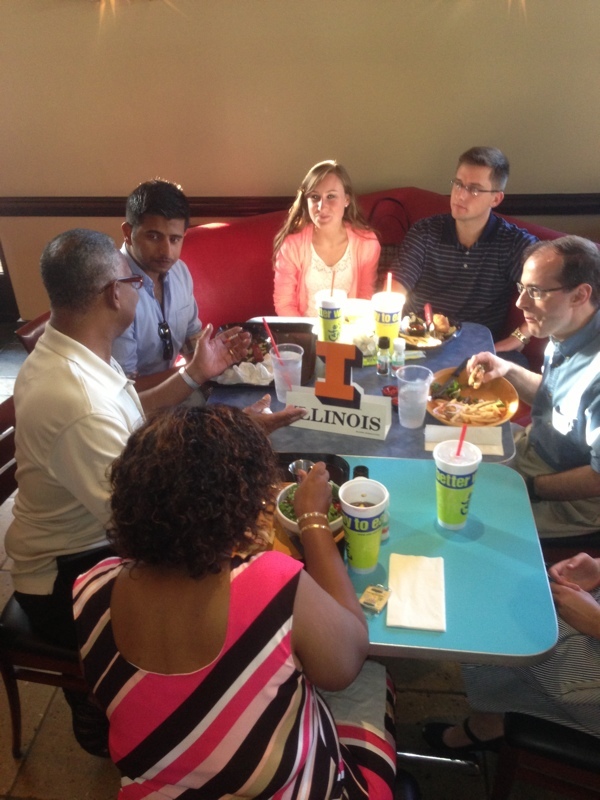 At Down The Street in the Heights the Houston Illini Club had a great turnout of buth Cubs' and Cards' fans. 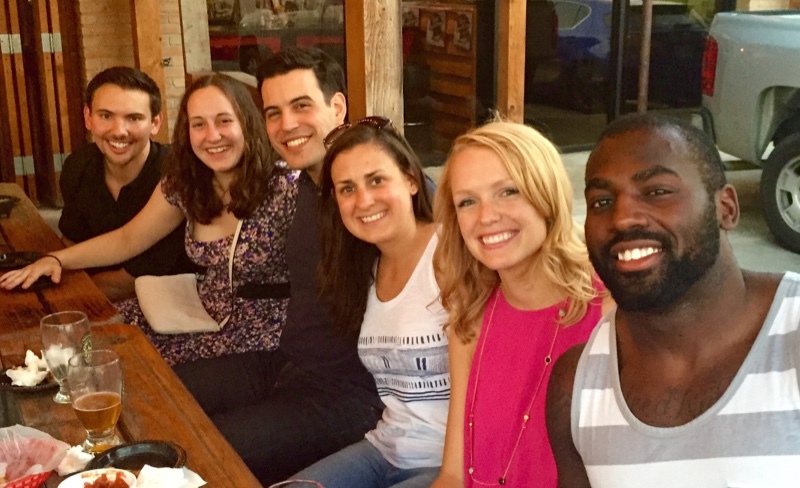 Young Illinois' Alumni (classes 2000-2015) were invited to a Happy Hour on Thursday, June 4th at 6:00 PM at The Refinery Burgers & Whiskey (702 W. Dallas), and had a great time! 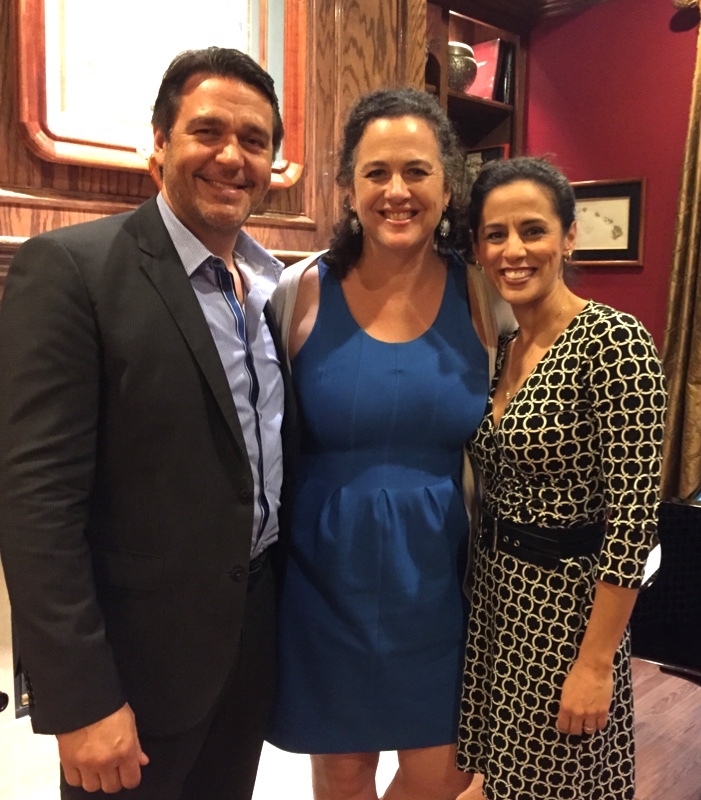 At a congenial Houston evening of food, drink and music, world-famous baritone and Illinois School of Music Professor Nathan Gunn performed, joined by Yvonne Redman and Julie Gunn. 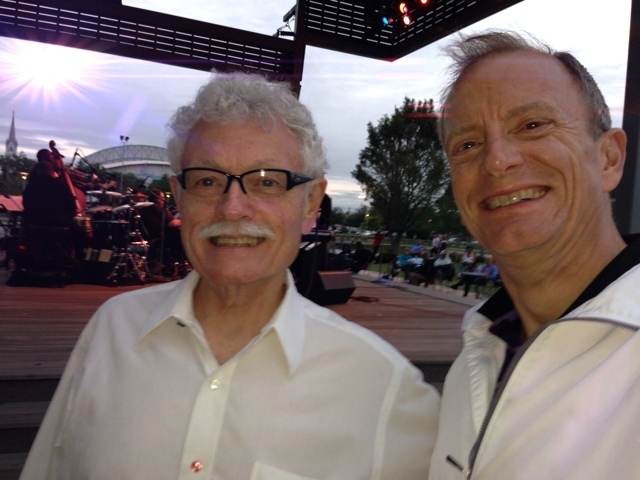 Attendees donated $1,000 to the University of Illinois' Lyric theater. Houston-area's Sam Mays signed with Illinois! As a three-star recruit by 247sports, ESPN.com, Rivals and Scout he was ranked the No. 9 wide receiver in Texas by 247sports Representing the Houston Illini Club was Adelqui Boué. 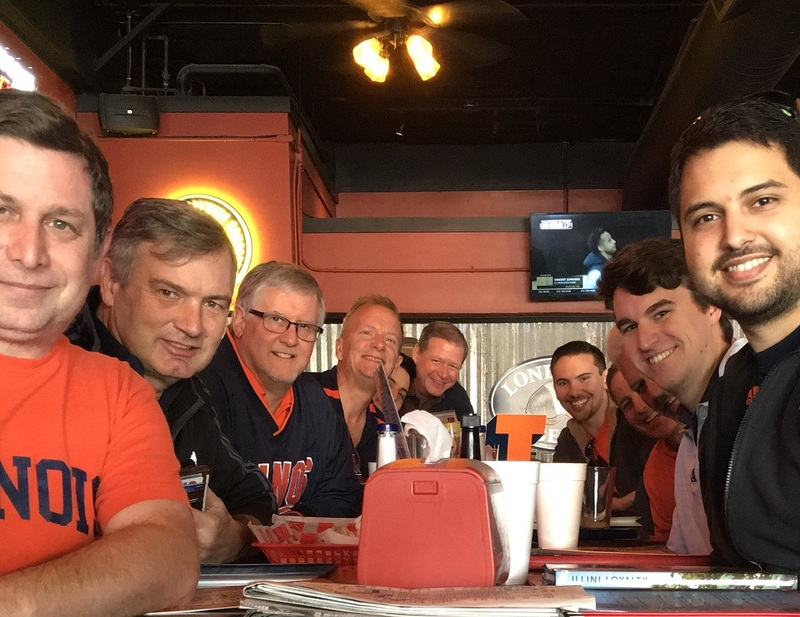 The Houston Illini and Northwestern Alumni Clubs met in Houston on 11/29 for a joint TV game watch of Illinois' big victory making them bowl eligible! 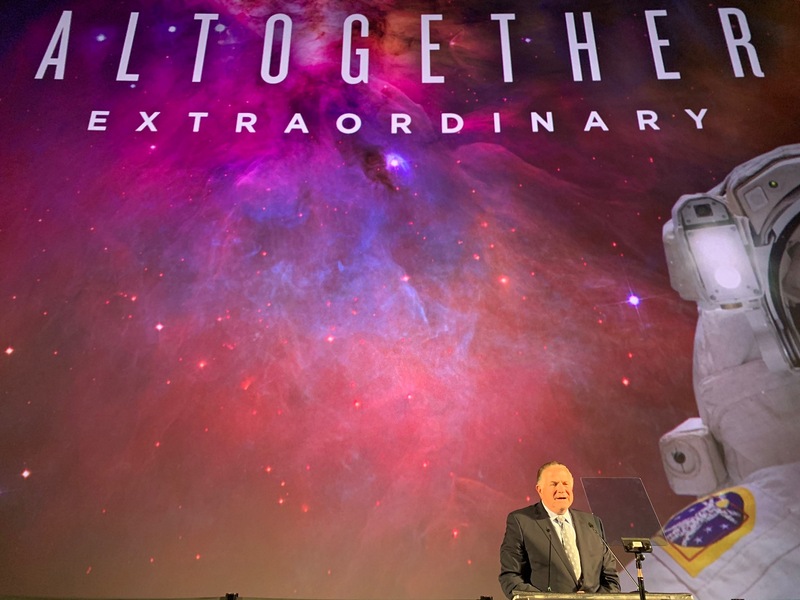 On June 21st at Space Center Houston NASA Astronaut Mike Hopkins spoke to the Houston Illini Club about his incredible experience training for then orbiting in the ISS for six-months. Afterward he signed photos for the kids, and we took group photos. 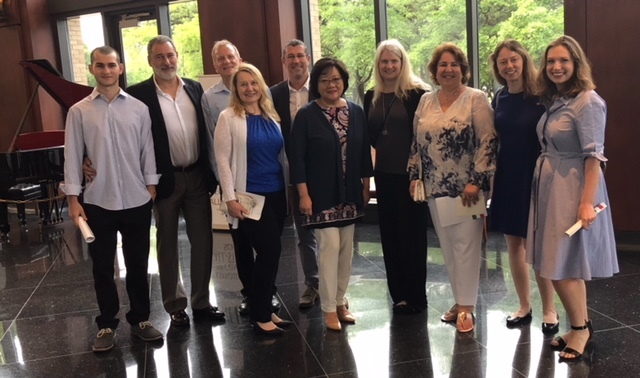 On 5/29/14 select members of the Houston Illini Club's scholarship committee recognized the 2014 scholarship award recipient, Xinyi (Gary) Zhang. 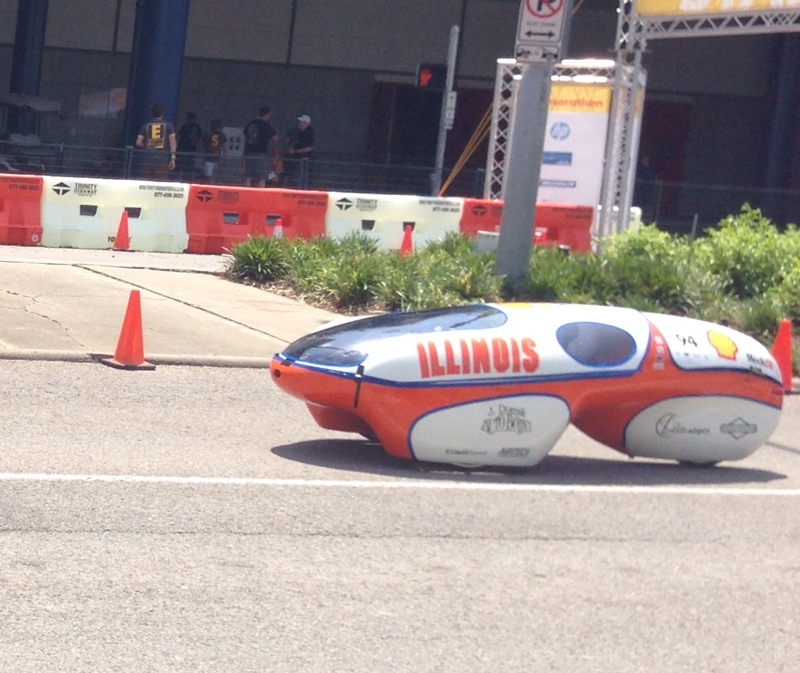 On Saturday, 4/26/14, the Houston Illini Club hosted the University of Illinois Eco-Marathon student participants and their faculty advisers. 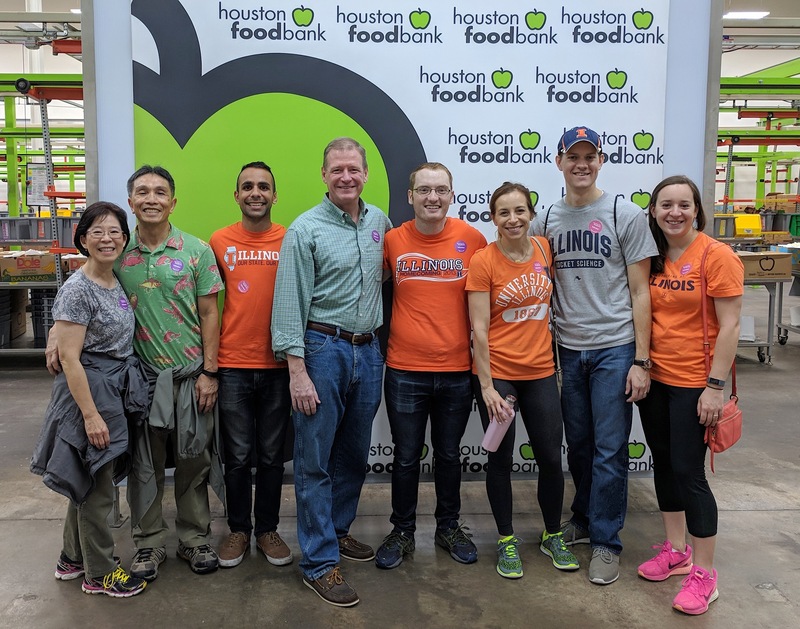 The Houston Illini Club had 25 members and guests at the pivotal game (which clinched fourth place) between the Houston Rockets and the San Antonio Spurs at the Toyota Center on 4/14! 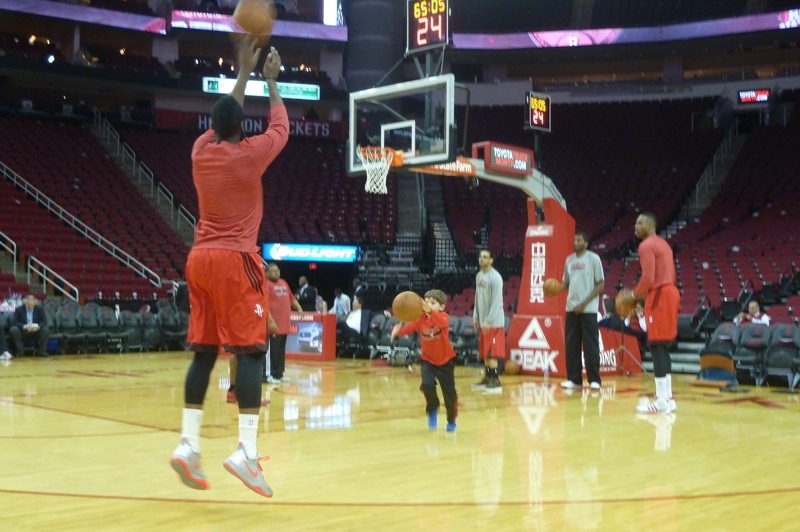 We were furnished amazing court-side seats to watch the teams warm-up. 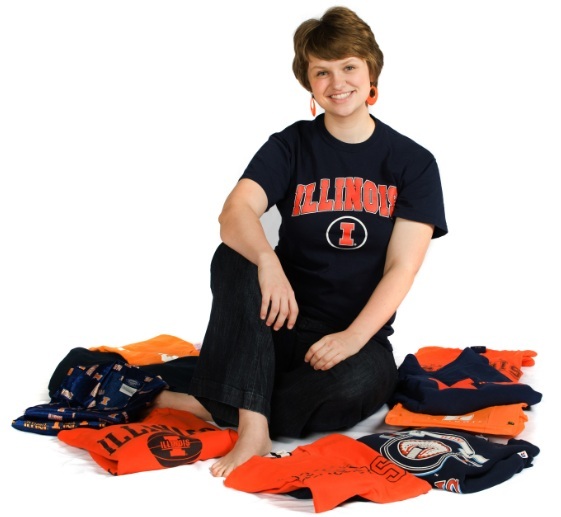 On 3/24/14 several Houston Illini alum hosted a very lucky group of area high school seniors accepted by the University of Illinois. 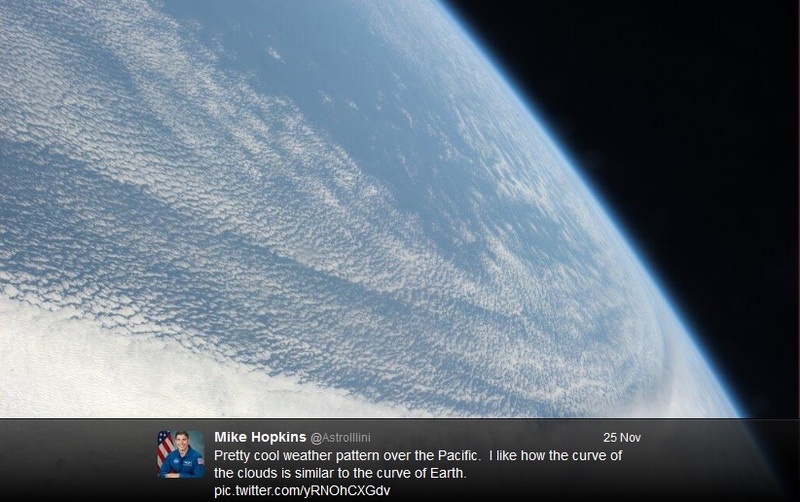 2013 - 2014: Houston Illini Mike Hopkins on the ISS! 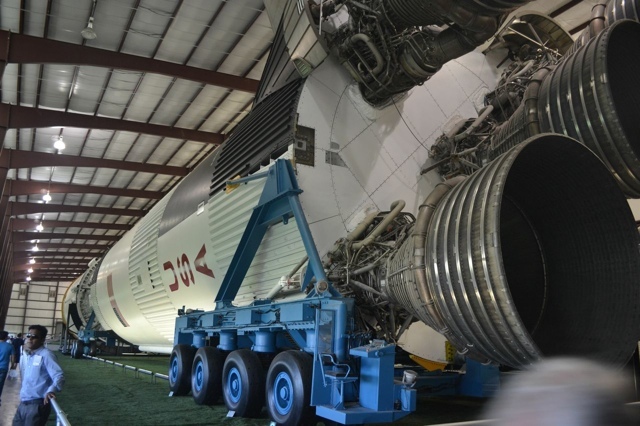 Beginning September 25, 2013 and through March, 2014, Houston Illini Club Member Mike Hopkins resides and works at the ISS! Go Illini! 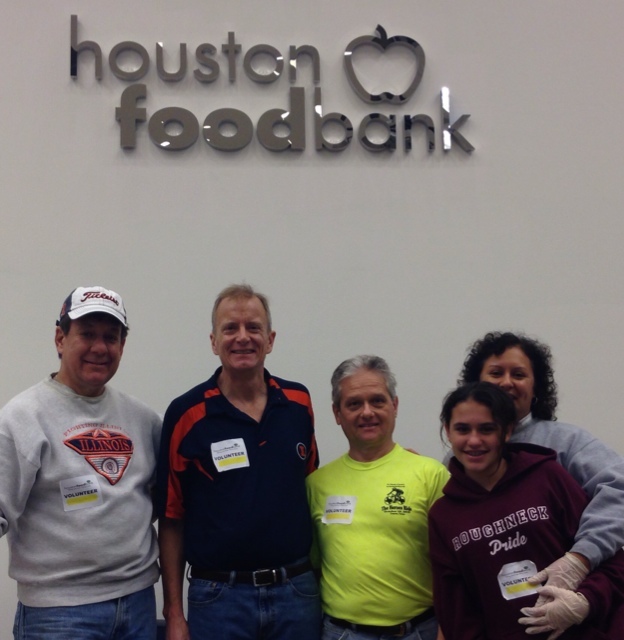 Several Houston Illini Club members attended assisted at the Houston FoodBank! 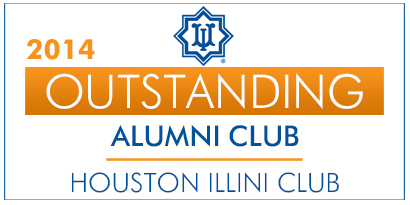 On 8/14/13 Anna and Joel Catalano hosted the Houston Illini Club in meeting UIF's Rob Huck, who updated us on developments on campus. 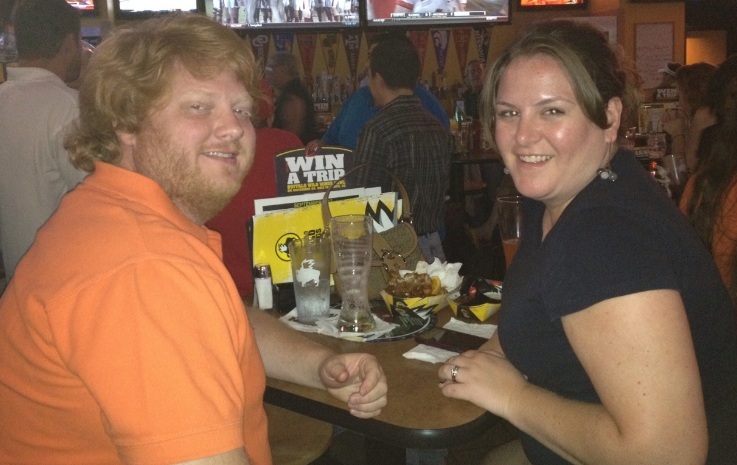 2013-07: Meet & Greet, and Events Brainstorming! At Cafe Express the club had a great turnout of 28 Illinois attendees at our 7/31 Meet & Greet and events brainstorming meeting! 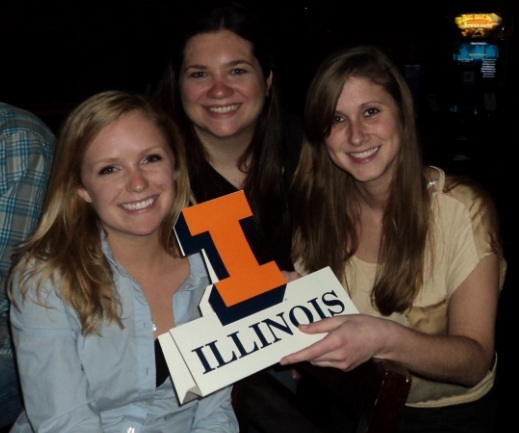 The Houston Illini Club hosted a Happy Hour on July 10 at the Capitol Bar Midtown. 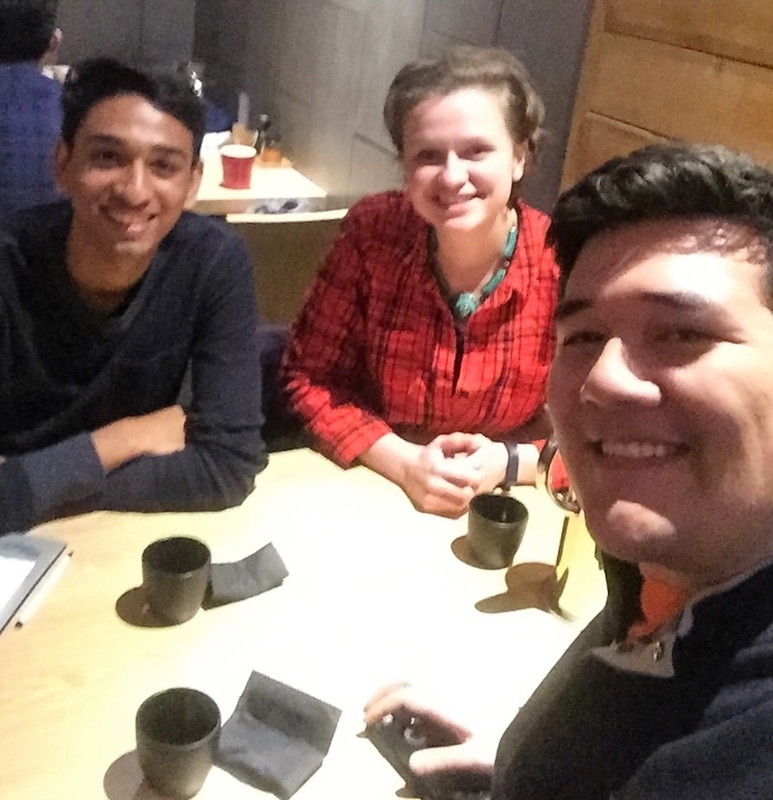 This was a fun networking and meeting opportunity with other Illinois Alum, where the club furnished appetizers and snacks. 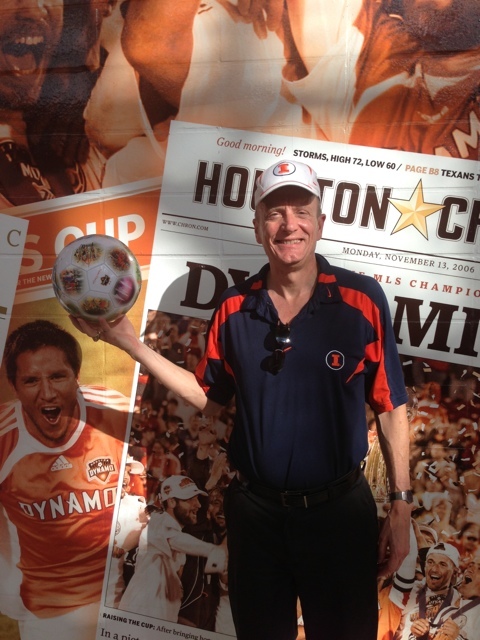 Dr. Bob Morgan hosted the Da Camera Jam at Discovery Green, and opened the event to Houston Illini. In a stadium seemingly made for Houston's Illini (owing to the Dynamo's brilliant selection of colors!) 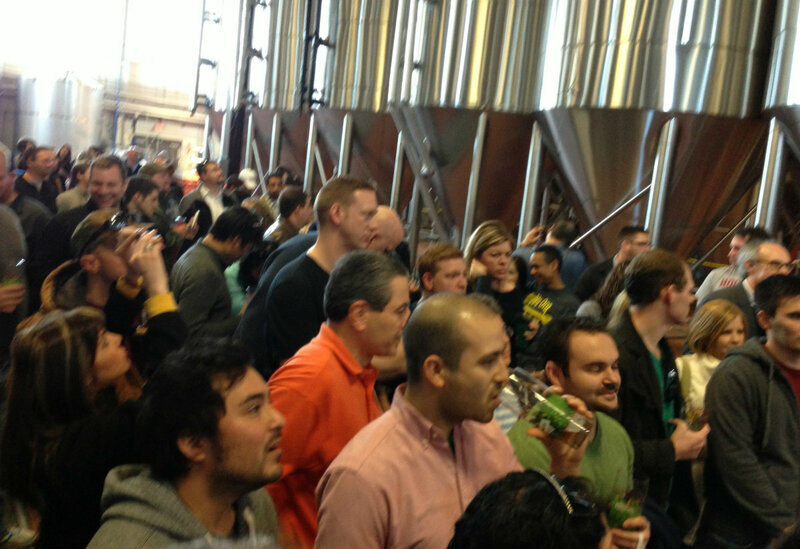 the club enjoyed our first - and not last - professional soccer game watch. 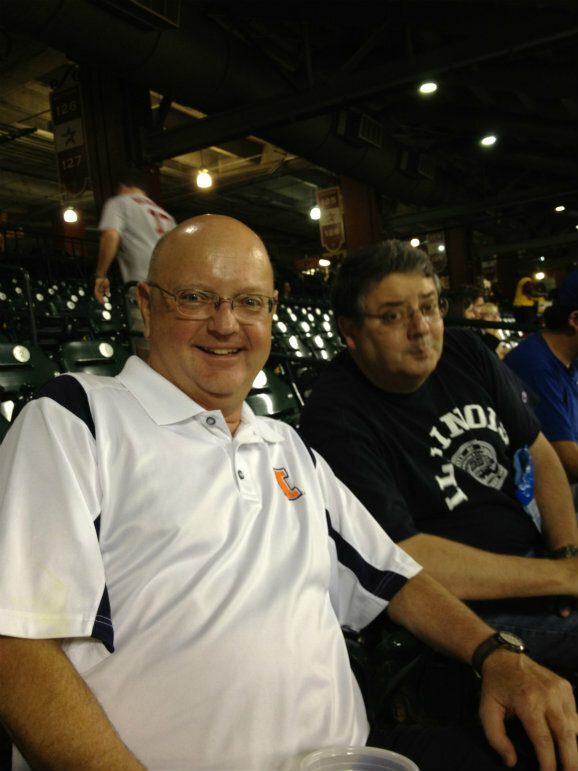 With Anna Catalano as event host, the Houston Illini had a great time at Minute Maid Park! 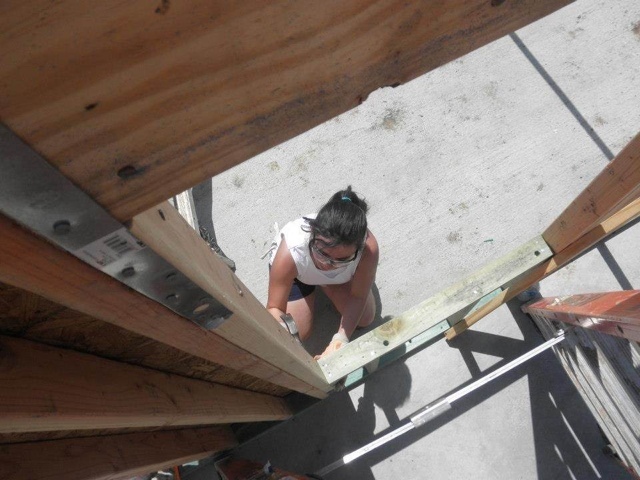 Eleven sorority sisters from UIUC's Sigma Kappa house decided that instead of going on vacation for their Spring Break they were going to donate their time to Habitat for Humanity of Fort Bend County. 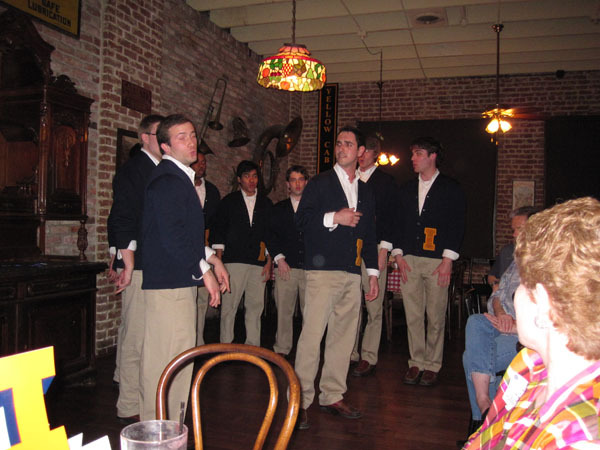 The Houston Illini Club welcomed them eagerly. 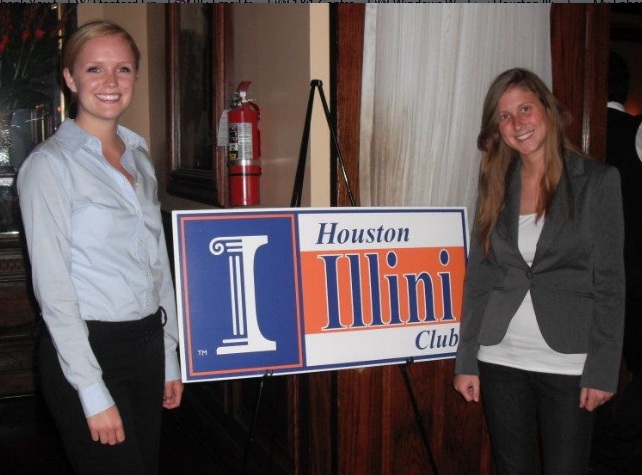 Thanks to the Houston Illini Club for supporting the club's scholarship fund raising effort! 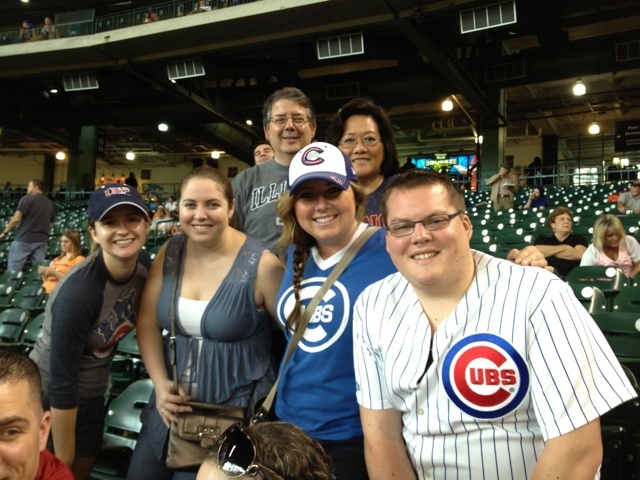 Go Astros & Go Cubs! 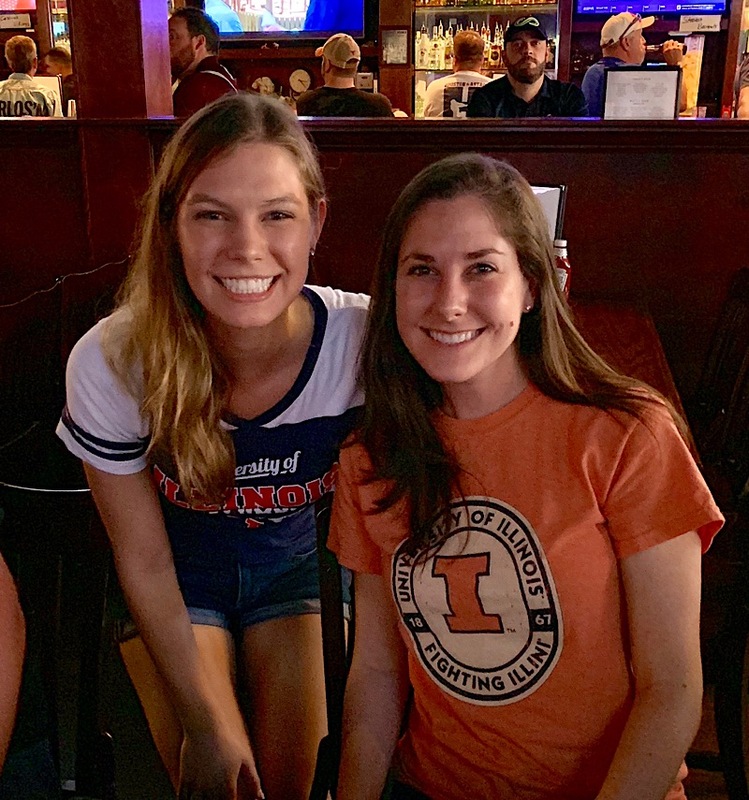 With the Illini's star QB unfortunately sidelined the team didn't coalesce, but that didn't prevent the Houston Illini from having its best turn-out ever with nearly 25 in attendance! 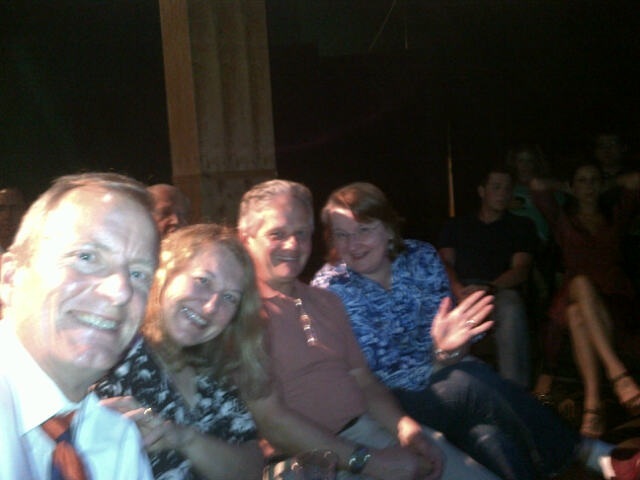 Fifteen Houston Illini with their guests watched the very funny and 'Nerdy' Pete Ludovice's comic performance. Pete, a UIUC (and MIT) alum, visited us from his Chemical Engineering professorship at Georgia Tech University. 2012-06: Samantha Holt Awarded the Club's Scholarship! At an award dinner with Scholarship Chair Mark Ulrich, President Mike Davis, Director Bob Morgan, Samantha Holt was awarded the club's 2012-2013 scholarship in the amount of $1,250! 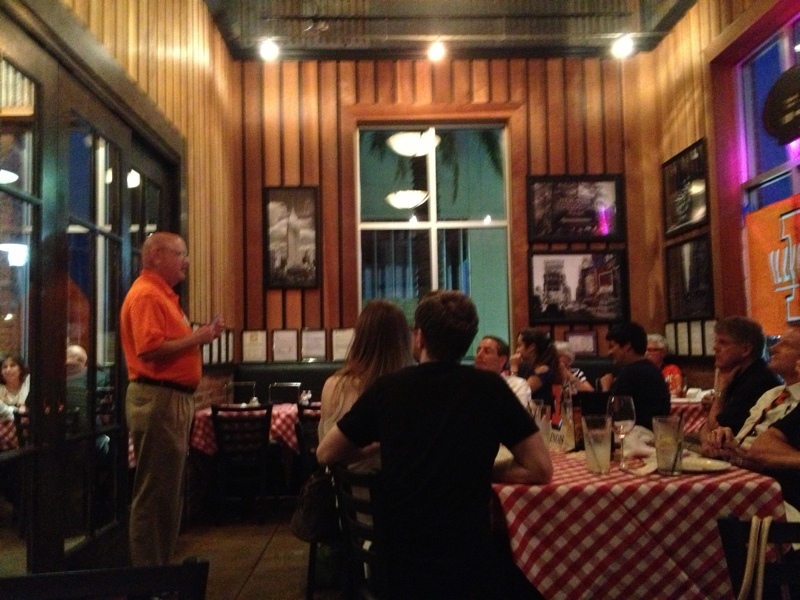 At Maggiano's select alum from the University of Illinois Alumni Club of Houston met with Houston-area accepted 2012-2013 students. 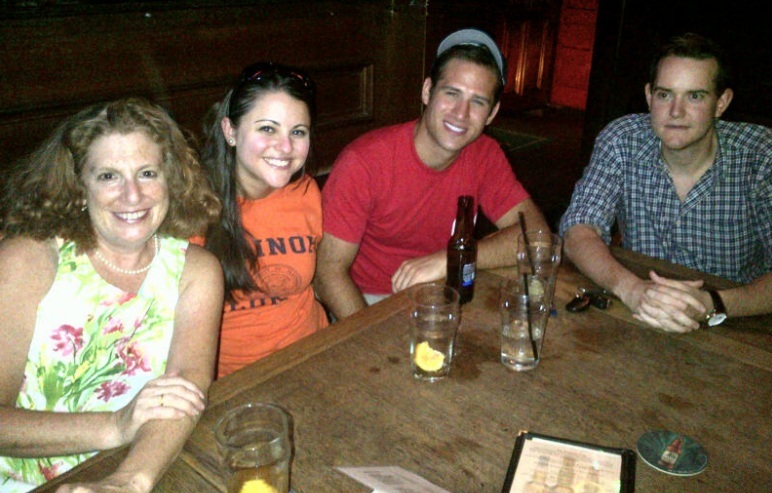 With the Purdue Club hosting a number of Illini showed-up at Richmond Arms on 8/17/12. 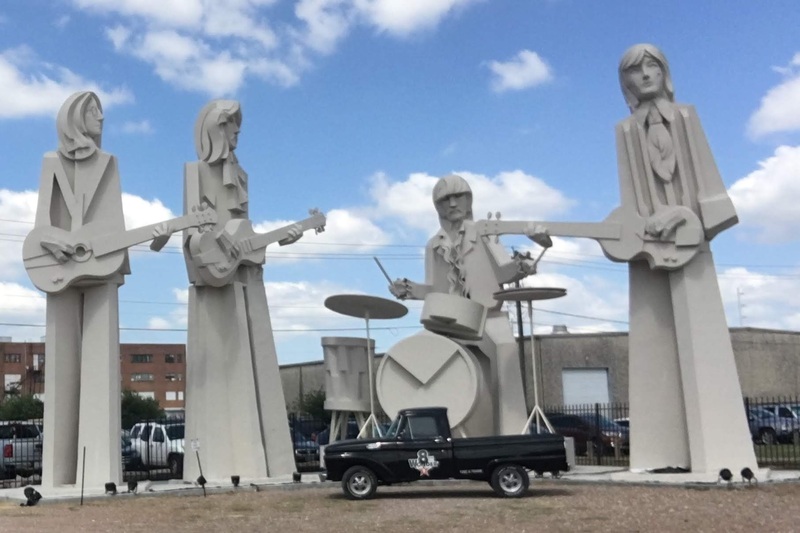 2011-03: The Other Guys Perform in Houston! 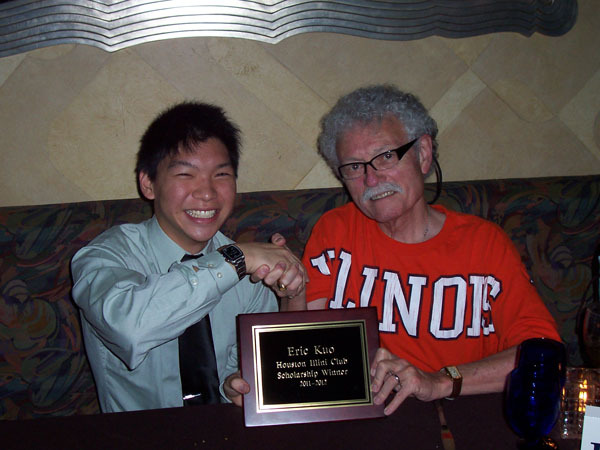 The Houston Illini Club's 2011-2012 Scholarship Recipient, Eric Kuo, was recognized by Committee Member Dr. Robert Morgan in Clear Lake on May 26th, 2011. 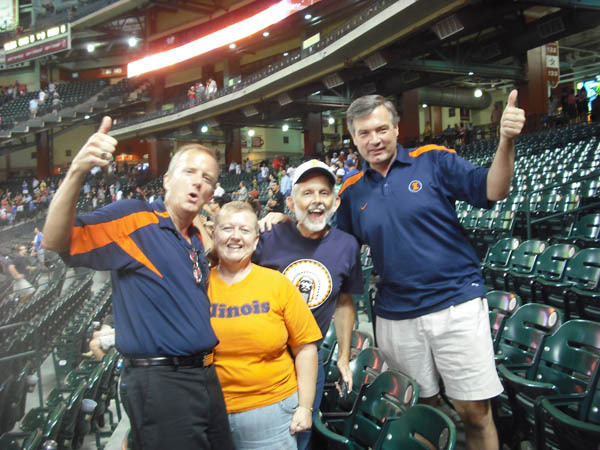 The Houston Illini Club's watched the Houston Astros play the Chicago Cubs. Dramatically, the final photo shows the aftermath at the end of the 9th inning's walk-on Grand Slam that cinched victory for the Astros! 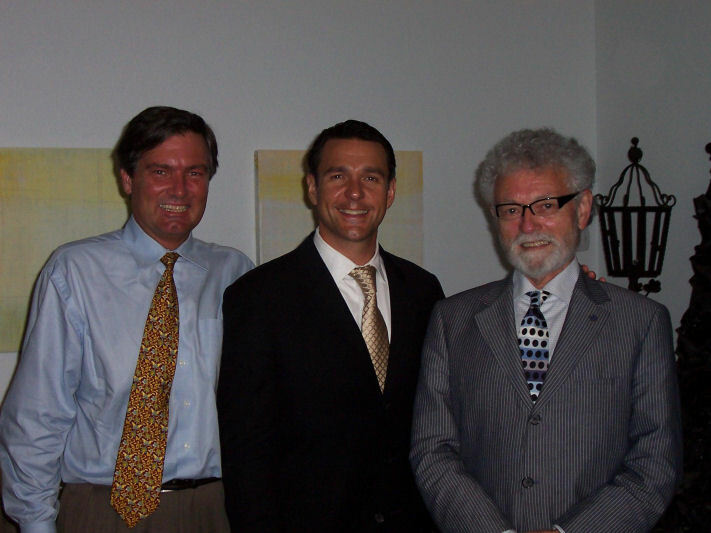 In October, 2011 the Catalano's hosted a dinner for Nathan Gunn. The first two photos depict Anna providing Nathan the club's check for $100 for U of I's School of Music's Nathan Gunn Scholarship Fund. 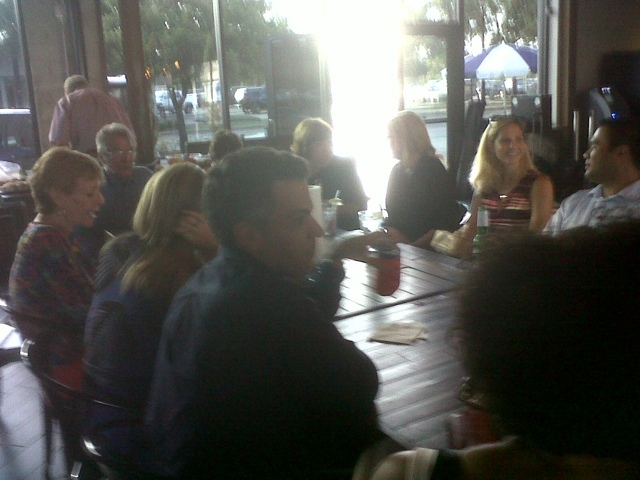 On 10/27/11 the Houston Illini Club visited the Menil Collection, and had dinner afterward at Canopy's. President Mike Davis is presenting a check from the Houston Illini Club for $100 to Tony Camps, Curator. 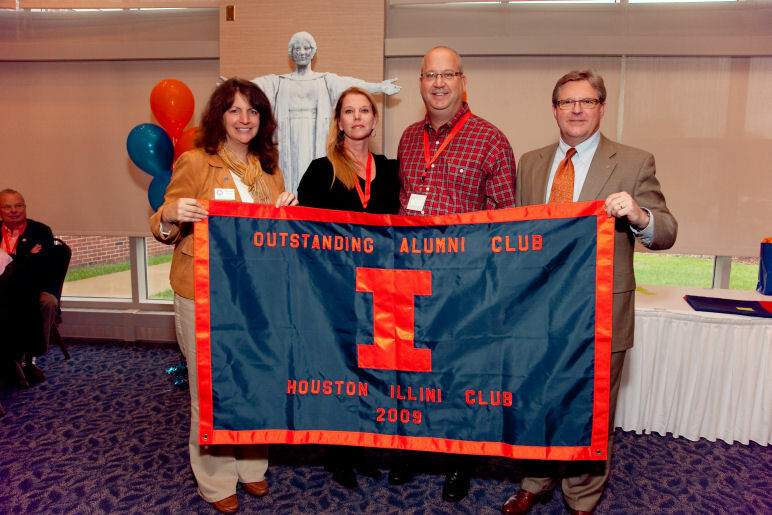 2009-10: UIAA Grants Houston Outstanding Club Award! The following photos were taken at the Houston Illini Club's May 2009 Scholarship Banquet, which featured a presentation to the 2009-2010 club scholarship recipient Ryan Kent (photo credit to J. Kent), and a speech by NASA's Steve Nagel. 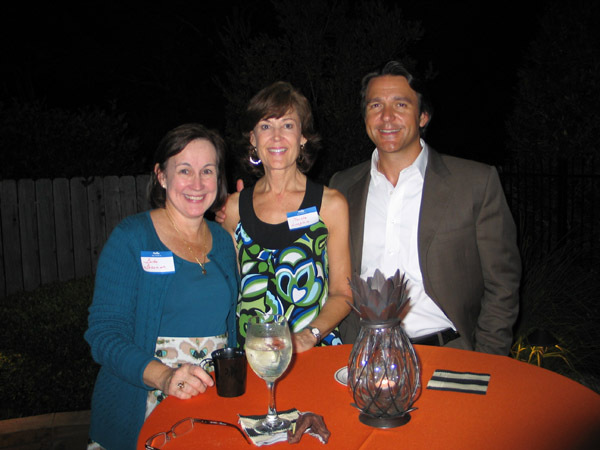 The following photos were taken at the Houston Illini Club's May 2009 reception at the residence of Derek Harmon following the group attending the Opera. Pictures courtesy of Tim Tull.